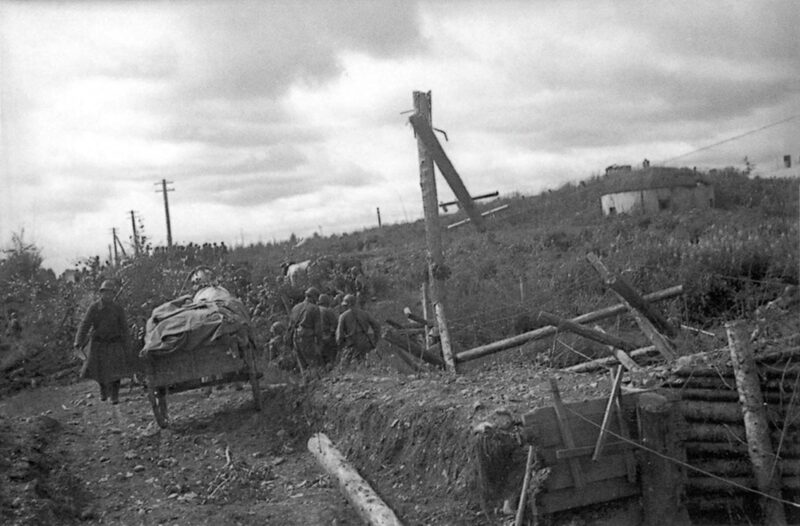 Subdivisions of the 165th Infantry Regiment occupy the border control point of the Japanese in Southern Sakhalin – the Khandas police station. Post Khandas – a powerful border fortification with a three-meter earthen rampart and concrete firing points. He was captured on 12 August 1945 by a battalion of the 165th Infantry Regiment reinforced with tanks of the 214th separate tank brigade.